Android is one of the fastest growing marketplace and so as the threat of hacking of android devices. To make sure that your phone stay safe, the simplest method is to use best antivirus app on android phone or tablets. I highly recommend that you should have an antivirus on your phone. It is best to start using antivirus from first day when you start using your phone. Securing your data must be your top priority. Mostly you have most of your personal information on your phone. So it should be secure. We not only have numbers and texts but also account details, Internet transactions, they all should be secure so you do not lose money. 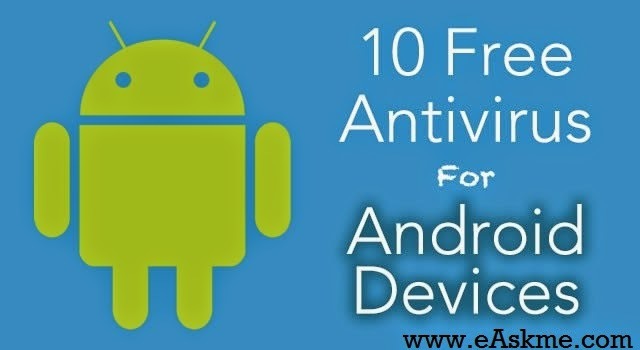 Today we talk about a list of top 10 free antivirus for Adnroid to make your phone secure for everything that you do on it and protect your personal data. AVG is one of the best anitivirus provider that protect your systems and machines from malware and phishing. They have two versions of app, one is free and one is pro. They have one of the best anti-theft feature that is in both free and pro versions. This app offer you tremendous features like anti-virus, anti-malware and anti-theft. It also save last location when your battery was critically low. You just need to register for this app. Norton is the name that always show a picture of an antivirus. Its free version have very basic features like removing viruses and malwares. It also offer remote locking of phone via SMS. But this have only 30 days free access. This ia a simplistic and standard app. It have basic features like Anti-malware, anti-virus, secure browsing and data backup. It is very simple that`s why many people like it. This is also one of the most famous antivirus available. It have lots of features like backup, app locking, secure browsing, firewall, network meter, privacy report and much more. I personally recommend this app as the "Best App" that provide absolutely free features that many other paid apps provide. This is highly popular app with good rating. This is the list of best Antivirus android apps that are free and good to secure your phone from hacking and virus attacks. Do let us know which work best for you. Don`t forget to share this article with your friends and family who use android phones.